Quickly merge, combine and join multiple video files into one large video file. MP4 is one of the most popular and widely used video formats on both desktop computers and mobile devices. 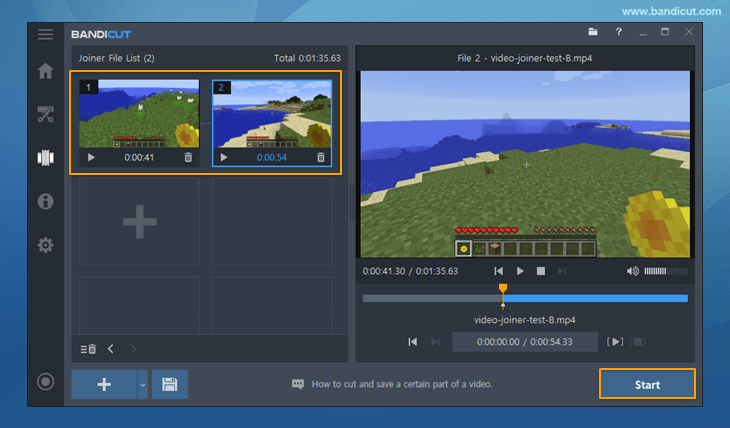 If you want to join more than 2 video files into one MP4 file, try Bandicut Video Joiner. Bandicut is a professional video joiner program which can combine multiple video files into a bigger one. Users can also extract audio from video to MP3, trim parts of video, remove one or more parts from the video, split the video into multiple files, or upload the MP4 file to YouTube immediately after joining. 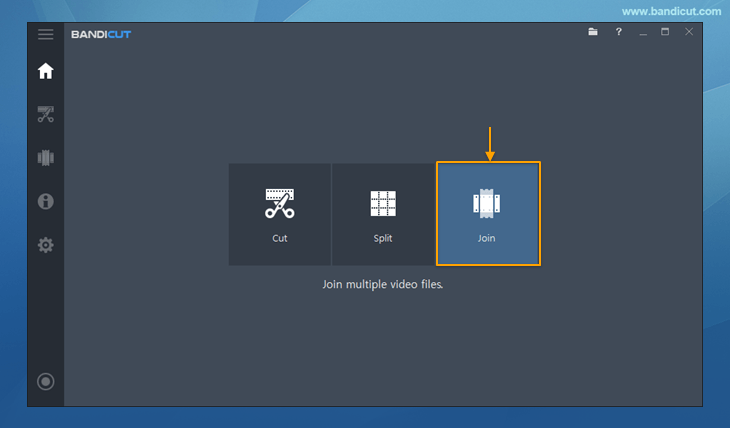 With Bandicut, everybody can easily join multiple videos or merge more than 2 video files. Step 1: Download the free version of Bandicut, start Bandicut and click the 'Join' button. Step 2: Check/Change the video sequence, and click the 'Start' button. Step 3: Select [High-Speed mode] to quickly merge videos without decreasing the video quality. - Please click the 'Encoding Settings' button and select the 'MP4' container to join videos into an MP4 File. Bandicut supports almost all popular video formats such as AVI, MP4, MOV, M4V, MKV, MPEG, MPG, DAT, VOB, FLV, ASF, WMV, TS, TP, TRP, MPE. You can use Bandicut as an AVI Joiner, MP4 Joiner or MKV Joiner. Lossless video joiner software is able to merge multiple videos without re-encoding. There are lots of video joiner programs. 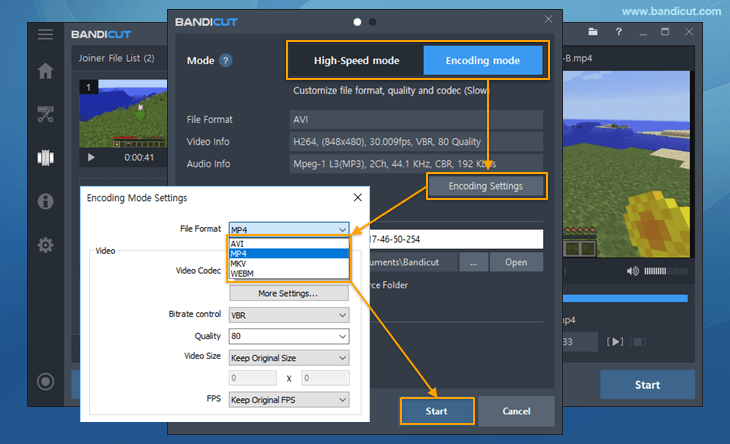 However, if you want to join/merge your video files without decreasing the video quality, please try Bandicut! Bandicut supports the hardware accelerated Intel Quick Sync h.264 encoder which allows you to cut, join/merge, trim/crop, split videos in high speed with excellent quality.